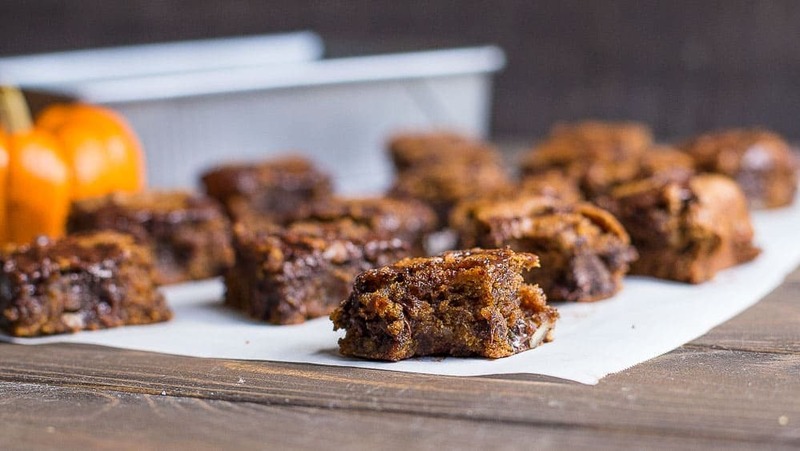 These gooey and dense blondies have a delicious pumpkin flavor with chocolate! 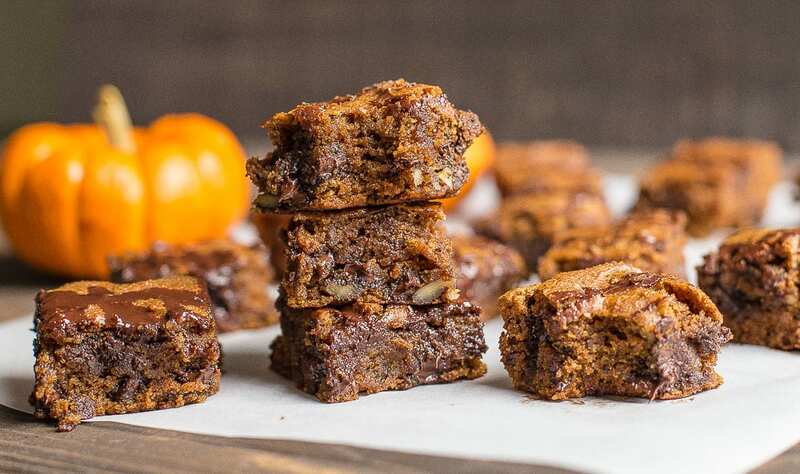 This yummy fall treat is grain-free, Paleo, and Gluten-Free, and so easy to make! 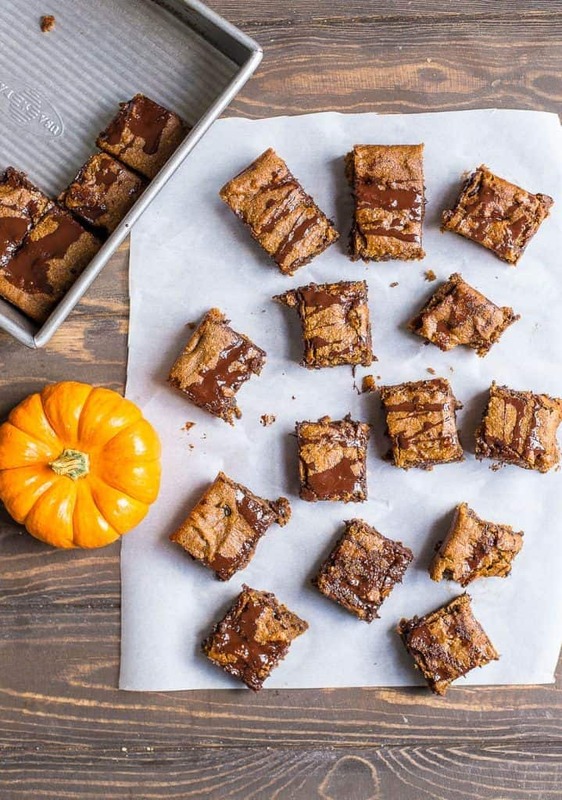 I need someone to come to my house and take away these Pumpkin Chocolate Chip Blondies ASAP. This is the problem with food blogging sometimes. I am home alone, baking my way through fall, and slowly eating the entire pan of these blondies! It’s a rough life, but someone’s gotta do it. So here is the funniest part of this story. I had intended on making Fudgy Pumpkin Brownies, not blondies, because of my obsession with chocolate and all. I decided I wanted to not be so tempted, and make this recipe more about the pumpkin. I was afraid that brownies would overpower the pumpkin taste. So blondies make a good compromise. Plus, I told my chocolate obsessed self, if I go the Blondie route, I won’t be as tempted to eat the whole pan. I had no idea how delicious these would turn out. Or that I would immediately put this on the top of my list for favorite holiday baking treats. They have this yummy pumpkin flavor with some spices to bring out the fall taste we love, and then there is the chocolate part. 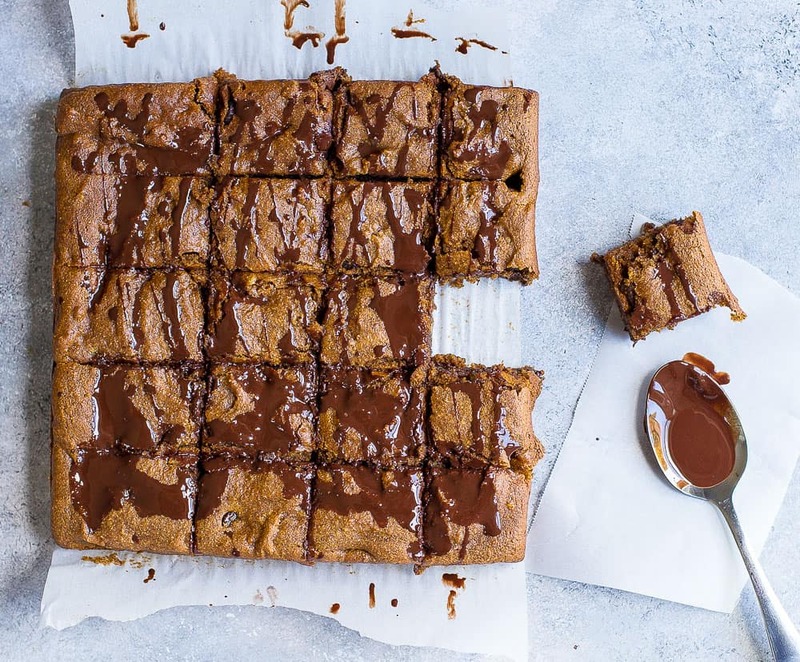 The chocolate chips melt into the blondies for that ooey gooey taste, and then the additional drizzle of chocolate is optional, but kind of necessary. 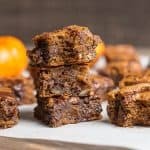 So about Blondies, they are similar to brownies except they don’t have cocoa powder and are sweeter. 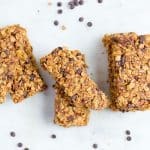 I sweetened with coconut sugar and maple syrup. 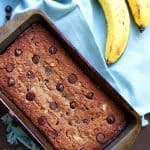 No need for any oil, I added almond butter to give this recipe a creamy texture, and added fat for a buttery taste. These are pretty much perfect! I know these are about to be a HUGE hit with your peeps! Enjoy! Preheat your oven to 350 degrees. Line a 8x8 square pan with parchment paper, spray with non-stick spray to grease. Set aside. In a small bowl, mix together the dry ingredients: flours, spices, coconut sugar, salt, and baking soda. In another bowl, using an electric mixer, mix together pumpkin, maple syrup, vanilla, egg, and almond butter. Do not over beat! Slowly fold wet ingredients to dry. Add chocolate chips and pecans, Spread batter in the pan, smoothing the top so it's even. Bake for 20-22 minutes, remove from oven and let cool completely. Melt unsweetened chocolate and drizzle over the brownies (if using). Cut into squares. 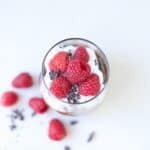 *Use dairy-free chocolate chips such as Enjoy Life brand for a Paleo dessert. These look delicious! 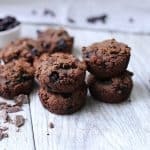 Any chance I can sub cocoa powder for chocolate chips or do you think it would taste weird?? Thanks!